Shopping malls are not only perceived as a place for shopping by customers; but also a place for resting, having fun, and socializing. Given the increase in the number of shopping malls and the necessity in order to meet the expectation of customers, innovative studies are needed. In this study, a novel model is developed by setting shopping malls performance criteria to contribute to the progress and performance measurement of shopping malls, which have a significant place in our daily lives. Each criterion is set after interviews with experts who are outstanding in their fields and have management experience in the mall sector. To the best of our knowledge, this study is the first in the literature in terms of presenting a novel model to evaluate performance of shopping malls. Also, this study aims to fill the gap in the literature in this field and make a positive contribution to the shopping mall sector by its original and comprehensive (for all areas in this sector) criterias. Bajo J., Corchado J.M., Paz Y.D., Paz J.F.,Rodriguez, S.,Martín, Q.,Abraham,A., “SHOMAS: Intelligent Guidance and Suggestions in Shopping Centres”, Applied Soft Computing 9(2),851-862, (2009). Council of Shopping Centers Turkey (AYD), 2018.Available from: <http://www.ayd.org.tr/TR/PDFs/2017_faaliyet_raporu.pdf>. Wakefield K. L. and Baker J.,"Excitement at the Mall: Determinants and Effects on Shopping Response", Journal of Retailing, 74(4), 515–39, (1998). Cengiz E. and Özden B., “A study aimed at identifying the major shopping centers and consumers' attitudes with large shopping in retailing”, Ege University Faculty of Economics and Administrative Sciences, 2(1),65-78, (2002). Köksal Y. and Aydın E.E.,“A Comperative Investigation On Shopping Mall Perception Of Consumers: The Case Of Lakes Area”, Int. Journal of Management Economics and Business, 11(24), 231-248, (2015). Reynolds K. E., Ganesh J. and Luckett, M., ”Traditional Malls vs. Factory Outlets: Comparing Shopper Typologies and Implications for Retail Strategy”, Journal of Business Research, 55(9), 687–96, (2002). İbicioğlu H.,” Shopping Centers: An Investigation On Demographic Effect And Customer Attitudes”, Süleyman Demirel University Journal of Faculty of Economics and Administrative Sciences, 10(1),43-55, (2005). Akat Ö., Taşkın Ç. and Özdem A.,”Buying Behaviour Of International Shopping Center Consumers: An Application In Bursa”, Journal of Anadolu University Social Sciences, 2, 13-30, (2006). El-Adly M.I.,“Shopping Malls Attractiveness:A Segmentation Approach, International Journal of Retail & Distribution Management”, 35(11), 936-950,(2006). İlter B., Özgen Ö. and Aykol B.,” Classifying Shopping mall Requirements Of High School Students Using KANO Model: An Application In IZMİR”, Journal of Dokuz Eylül University Faculty of Business, 8(2),141-162, (2007). Chebat J. C., Sirgy M. J. and Grzeskowiak S.,” How Can Shopping Mall Management Best Capture Mall Image?”, Journal of Business Research, 63(7), 735–40, (2010). Köksal,Y., Emirza E., “A Comparison Of Shopping Malls And Street Stores As Regard To Choice Of Store Location: A Research In City Of Ankara”, Mustafa Kemal University Journal of Social Sciences Institute, 8(16), 75-87,(2011). Çelik H.,”Perception Of Service Quality In Shop Centers And A Research”, Suleyman Demirel University The Journal of Faculty of Economics and Administrative Sciences,16(3),433-448, (2011). 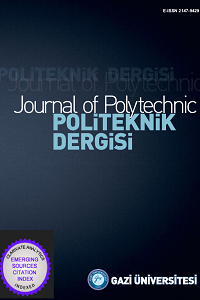 Akıncı G.M., “Youth and Shopping Malls: A Case Study about Youth Preference in Mall Use”, MEGARON, Yıldız Technical University Faculty Of Architecture E-Journal, 8(2),87-96, (2013). Shang Y., Li B.,Baldwin A.N., Ding Y., Yu W. and Cheng L.,” Investigation of Indoor Air Quality in Shopping Malls during Summer in Western China Using Subjective Survey and Field Measurement, ”Building and Environment, 108, 1–11, (2016). Haj-Salem N., Chebat J.C., Michon R. and Oliveira S.,” Why Male and Female Shoppers Do Not See Mall Loyalty through the Same Lens? The Mediating Role of Self-Congruity”, Journal of Business Research,69(3),1219–27,(2016). Mittal A. and Jhamb D.,"Determinants of Shopping Mall Attractiveness: The Indian Context", Procedia Economics and Finance, 37(16), 386–90, (2016). Kesari B. and Atulkar,S.,” Satisfaction of Mall Shoppers: A Study on Perceived Utilitarian and Hedonic Shopping Values”, Journal of Retailing and Consumer Services, 31, 22–31,(2016). Anselmsson J.,”Effects of Shopping Centre Re-Investments and Improvements on Sales and Visit Growth”, Journal of Retailing and Consumer Services 32,139–50,(2016). El-Adly M.I. and Eid, R.,"An Empirical Study of the Relationship between Shopping Environment, Customer Perceived Value, Satisfaction, and Loyalty in the UAE Malls Context", Journal of Retailing and Consumer Services, 31, 217–27,(2016). El-Abda W., Kamelb B.,Afifya M. and Dorraa M.,”Assessment of Skylight Design Configurations on Daylighting Performance in Shopping Malls: A Case Study,” Solar Energy, 170,358–368,(2018). Das G. and Varshneya G.," Consumer Emotions: Determinants and Outcomes in a Shopping Mall", Journal of Retailing and Consumer Services, 38,177–85, (2017). Fang K., Jiang Y. and Song M.,”Customer profitability forecasting using Big Data Analytics: A case study of the insurance industry, Comput. Ind. Eng, 101,554–564,(2016). Abdi F., Khalili K. And Damghani S.,” Abolmakarem, Hybrid Soft Computing Approach based on Clustering, Rule Mining, and Decision Tree Analysis for Customer Segmentation Problem: Real Case of Customer-Centric Industries”, Applied Soft Computing Journal, Accepted Manuscript, (2018).